Explore, discover, and be amazed. Go on an exciting journey in and around the Zillertal. Take the opportunity to enjoy special moments and memorable experiences and look at each excursion as a tour of discovery, because every part of our area has its advantages. A ride on the nostalgic Zillertalbahn is a special experience. The narrow-gauge railway with a steam locomotive runs from Mayrhofen to Jenbach. In peace and quiet, you can enjoy the tranquil view of meadows, villages, and mountains across the 35 meter long Zillertal. 2.5 km from the Platzhirsch. You can see how milk is turned into delicious cheese on a tour through the Erlebnis Sennerei Zillertal in Mayrhofen. This company stands for the highest product quality and is closely linked to well-being in our precious home region. 5 km from the Platzhirsch. Experience the beauty of our valley with a ride on one of Austria's best alpine roads. You can comfortably explore the Zillertal mountains by car. For well-trained people, the high alpine road can also be explored by bike or e-bike. 18 km from the Platzhirsch. The Spannagel Cave on the Hintertux Glacier is Europe's highest publicly accessible cave. Year-round tours take place through the Spannagel cave system with its numerous natural wonders. 18 km from the Platzhirsch. Nature's Ice Palace is a worldwide unique natural jewel and a year-round excursion destination for the entire family. Around 25 meters below the ski slope, you can explore an accessible glacial crevasse with ice crystals, frozen waterfalls, and even a glacial lake. A special kind of experience is awaiting you in the upper Tuxertal. 21 km from the Platzhirsch. Experience wood with all the senses. On tours through the modern biomass heat and power station, you can learn many interesting things about wood & energy. Many worthwhile exhibitions and concerts take place in the Sichtbar. 22 km from the Platzhirsch. This is only something for the brave! The Flying Fox on the reservoir wall of the Schelgeis in the middle of the Zillertal Alps at a height of 131 meters. If you are still in need of a kick of adrenaline after this, you can leap into the depths with the free fall. 38 km from the Platzhirsch. Hop into our spaceship and travel through the word of planets, stars, and galaxies. With various presentations under the starry dome and the full-dome video, you can learn how the world and universe around us work. 38 km from the Platzhirsch. Experience the silver mine - ride 800 m into the mine tunnel on the mine train then follow in the footsteps of the miners on a tour through the tunnel, where silver and copper were once mined over 500 years ago. 39 km from the Platzhirsch. With a length of more than 9 kilometers, the Achensee is Tyrol's largest lake and is also called the "Tyrolean Sea". The lake invites you to enjoy a relaxed ride on a steamboat or take a stroll along the shore, which is freely accessible. 44 kmfrom the Platzhirsch. Awaiting you are 37 rebuilt original buildings including farms and outbuildings from various valley communities. With so many different buildings, guests of all ages will find something exciting to discover. 45 km from the Platzhirsch. Marvel at Europe's largest waterfalls with a height of 385 m and visit the waterfall center. On your way back, you can stop by the Wildgerlostal, the Durlassboden reservoir, and the Finkau, which invites you to linger. 54 km from the Platzhirsch. 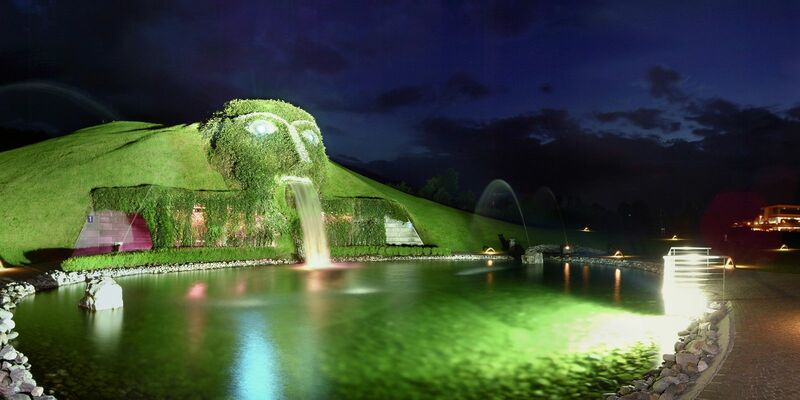 Enjoy a tour through the underground Chambers of Wonder and the garden of the Swarovski Crystal Worlds and let yourself be captivated by the sparkling Crystal Worlds store. 40 km from the Platzhirsch. Austria's smallest city is a wonderful place to take a stroll and shop! Participate in free, fascinating demonstrations of centuries-old glass craftsmanship. 61 km from the Platzhirsch. Explore the idyllic alleys in the medieval, historic city center of Hall. Enjoy a variety of shopping opportunities and genuine hospitality. 66 km from the Platzhirsch. Innsbruck stands out with its unique alpine-urban mixture of mountain and valley, nature and city. Experience the breathtaking view of Innsbruck on the Bergisel with its ski jump.